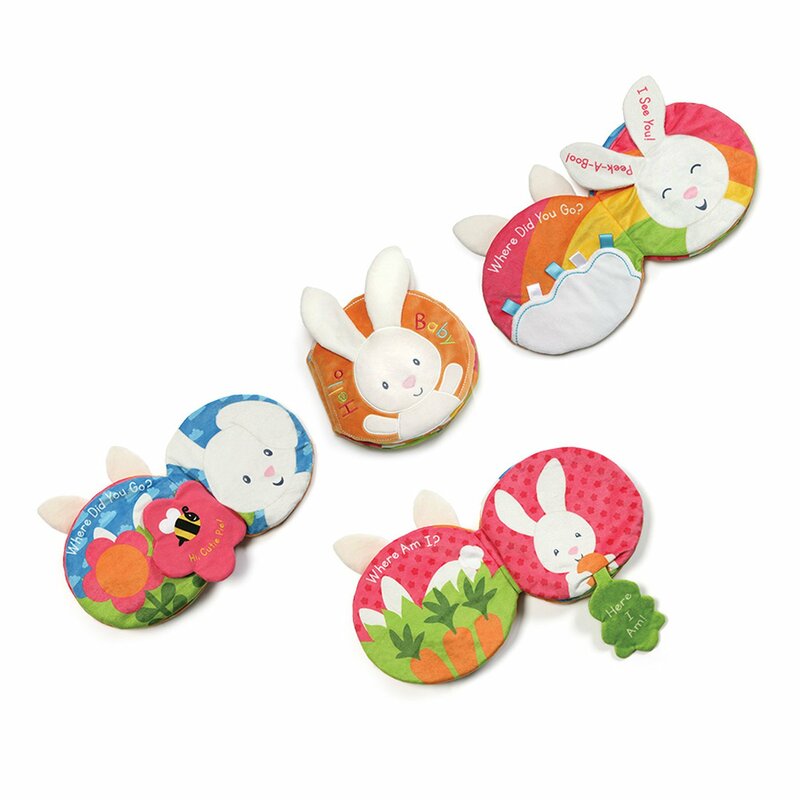 Turn the soft pages for an interactive game of learning and peek-a-boo with Flora! The 8″ Flora Soft Activity Book is sure to keep baby engaged during play with sensory-stimulating crinkle, ribbon for tactile play, super soft plush pages, and more! Perfect for on-the-go playtime. Machine washable for easy cleaning. Appropriate for all ages. About GUND: For more than 100 years, GUND has been a premier plush company recognized worldwide for quality innovative products. Building upon our award-winning and beloved plush designs, we continue to practice innovation by constantly developing new original and licensed designs to appeal to the next generation of customers. To that end, each one of our plush toys is constructed from premium materials for unparalleled softness and huggability.